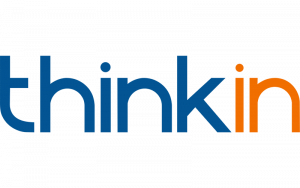 ThinkINside has implemented processes intended to protect user information and maintain security of data. We have attempted to protect ThinkINside’s servers by locating them in areas with security procedures, use of firewalls and implementing other generally available security technologies. These safeguards help prevent unauthorized access, maintain data accuracy, and ensure the appropriate use of data, but no guarantee can be made that your information and data will be secure from intrusions and unauthorized release to 3rd parties. We collect email addresses from those who contact us via email or our website, and ask for information such as your email address, name, phone, job title and company name when you request a demo. The information we collect is not distributed or sold to a 3rd party. It will only be used to communicate with you about our products and service offer, and where needed as part of certain ThinkINside features. You are entitled to know whether we hold personal data about you and, if we do, to have access to that personal data and require it to be corrected if it is inaccurate. You can ask to remove your e-mail address from our records. You can do this by using our Contact Us form. The owner of the data handling, in accordance with the Italian Law no. 196/2003 is ThinkINside srl, Via A. da Trento 8/2 – 38122 – Trento (TN) Italia.